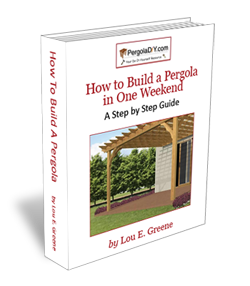 In order to be sure that you want to build a pergola, you’ll want to be able to identify the other similar outdoor structures to remove any potential confusion. Many people name any isolated outdoor structure as a pergola, however, there are different and distinguishable structures that – although sharing some characteristics – follow different building rules. What all they have in common is how beautiful they can be, the shelter that they offer from the sun and a sense of slight privacy while being able to enjoy the breeze right around you; so you can start to see why they’re usually mixed up. 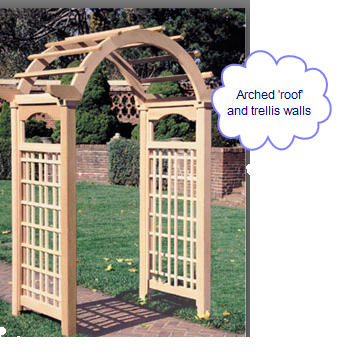 What is the difference between a gazebo, arbor, pergola, and trellis? As you look into improving your yard spaces, you will see these terms floating around all over and it is very easy to mistake one for the other. Frequently, the images you find on websites as you search for info will classify them incorrectly because of how easy it is to mix them up! However, they are all unique structures that you can clearly identify with a few hints. It is important to know what you want and how you want to use it determine which structure you want to build. The following descriptions will show you that not only do some key physical characteristics differentiate between the four structures but so does their overall purpose or use in the yard. 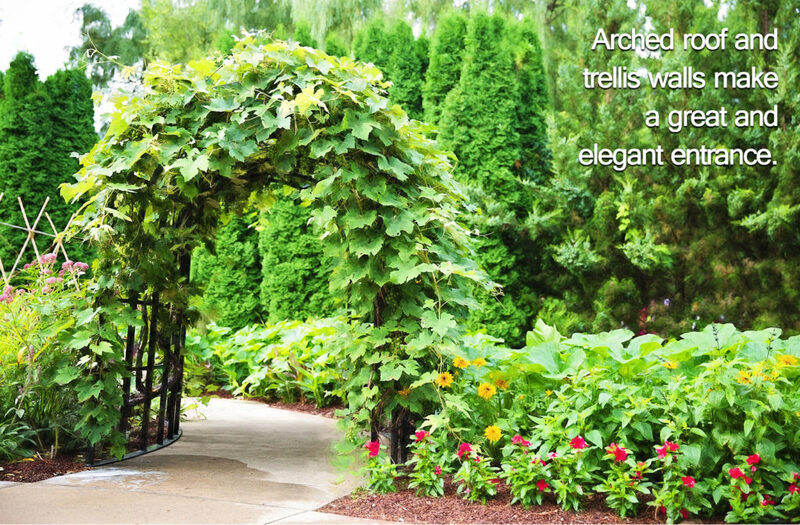 A trellis can be standalone or it can be a part of an arbor, pergola, or gazebo wall. 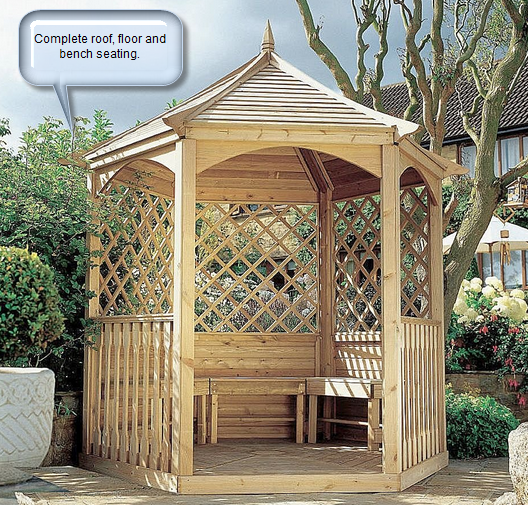 It is a versatile structure for your garden. The basic definition of a trellis is that it is a wall piece that supports growing vines. It is usually just a one sided piece with lattice work that is perfect for vines to grow around. They are frequently not permanently placed in the ground and don’t have any type of roof that provides shade or shelter. This one is the most simple structure that provides some shelter in your garden while being absolutely gorgeous. Arbors are primarily used to cover entrance ways or gateways, usually into a back yard from the front or to delineate two distinct garden areas. They traditionally have an arched top, and it is customary to have vines growing up them. This is where a trellis is sometimes part of an arbor. 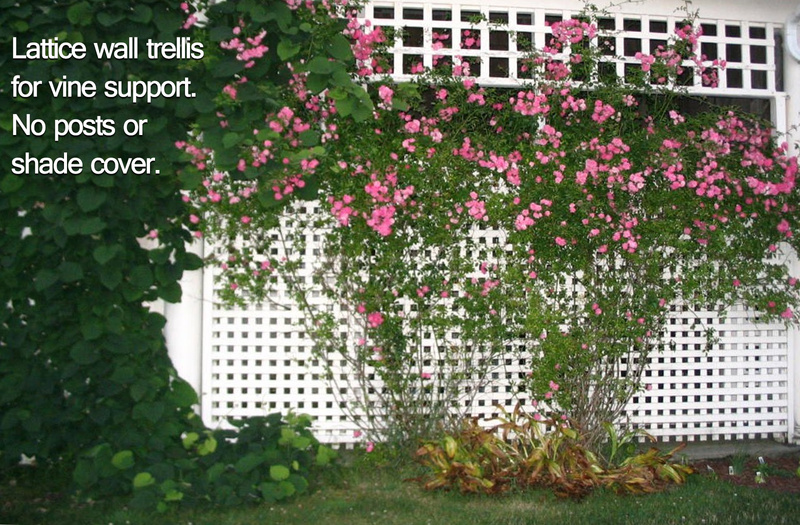 There can be latticework, just like the one found on any trellis, between the walls of the arbor. An arbor is also typically not large enough to cover a patio area and the ‘walls’ are more like side panels that are often barely a foot or two wide. The usual measures for an arbor are just as any regular doorway (around 6’8” high, 3′ wide) and will undoubtedly provide class and elegance to any entrance you decide to place one on. Gazebos are almost complete outdoor rooms in a yard or on a deck. The word “gazebo” does not have a definite origin, but it is likely a combination of the English word “gaze” and the Latin suffix “ebo,” which means “I shall gaze”, referring to its use as a viewpoint. Typically set at the outer edge of a yard, particularly to capture available views. They are large enough to hold seating for many people and often even have bench seats built into the walls. They are either round or polygon in shape and are topped with a beautiful cupola (tiny dome). 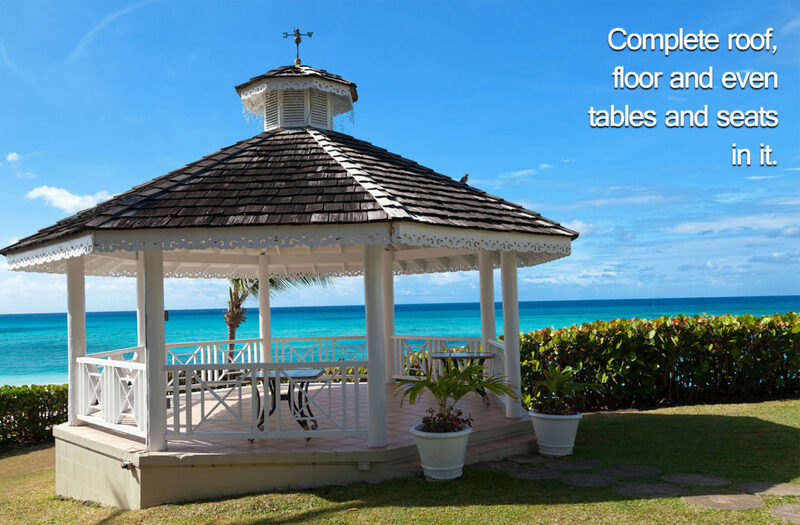 Rather than having posts as the anchors into the ground, gazebos are built with a fully complete raised floor and rather sturdy foundation. This is necessary because the other main feature that sets a gazebo apart is the complete roof cover. The only part of a gazebo that is left open is usually the upper walls. Otherwise, a gazebo really could be a shelter from a storm. Gazebos usually are prepared against insects due to being used for having a gathering with food outside and they can be made our of wicker, vinyl or aluminum; although the ones made of wood are the traditional option to go. Due to it’s heavier duty nature, gazebos are a bit expensive to build and almost surely require a permit. A pergola (pronounced PER-guh-luh and meaning “a close walk of boughs” in Italian) combines the best parts of the other structures and then adds a splash of ambiance and character to them. 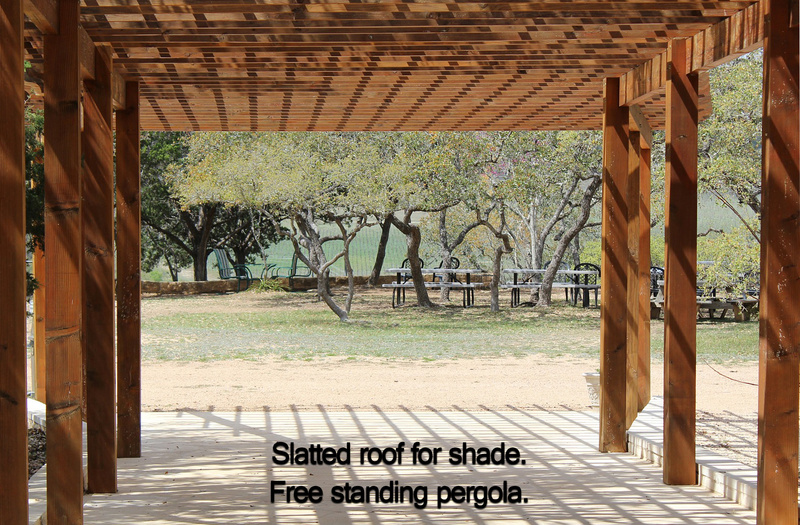 Pergolas are defined as a structure secured into the ground with posts of columns. They can be attached to a house on one side or they can be free standing. While they don’t have the full roof of a gazebo, they instead provide plenty of shade through a dappled pattern of beams and rafters or thanks to plants and vines. The edges of the roof pieces are given a fancy cut to add flare to the design. Pergolas are an excellent mid-point to add a structure to your garden or patio because they are accessible to build and if they’re attached to your house they can be a protection from the elements and gets even easier to make because they use part of your house’s structure as one side of it. These special structures, known these days also as “patio covers”, are a great addition that makes your garden inviting or becomes a welcoming addition to your patio. 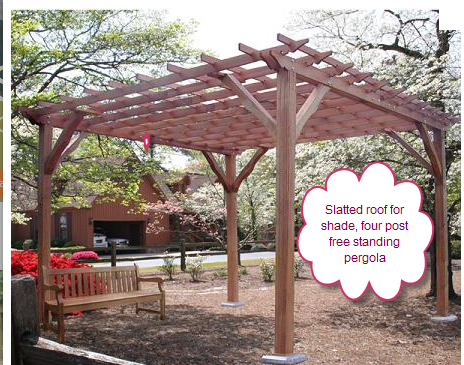 For more photos and an explanation of the many potential designs you can find for pergolas, check out our Pergola Design page. 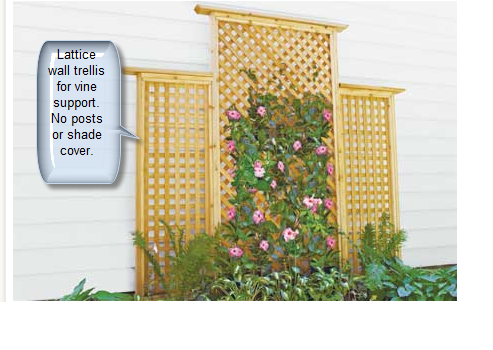 Trellis corners can be added around posts, the roof of a pergola can be curved like an arbor, and the pergola can provide shade cover for a patio or deck like a gazebo. 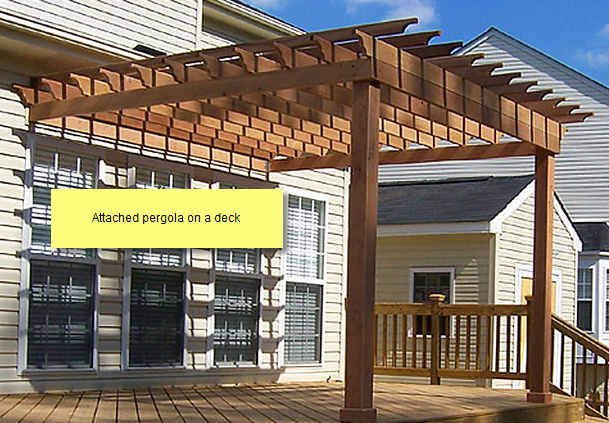 The best thing is that while a pergola can combine aspects of all three, it is very easy and inexpensive to build.